Home / Sustainable Energy Blog / Do I Need an Energy Management System or a Building Management System? Do I Need an Energy Management System or a Building Management System? 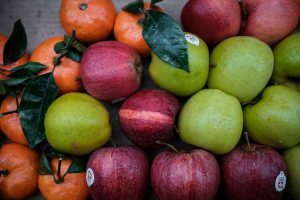 Comparing an EMS and a BMS is like trying to compare apples and oranges. Think of an EMS and a BMS as complementary ingredients in the same fruit salad. Will you still have a salad without one or the other? Sure. Is the salad better with both? Usually. From another perspective, think of the EMS on a micro level and the BMS on a macro level. The EMS focuses on individual rooms in the building (micro). The BMS concerns the building as a whole (macro). A Building Management System (or BAS-Building Automation System) can automate controls like the elevators, fire and safety, and metering. An Energy Management System measures energy expenditures and identifies energy savings opportunities. An example of the successful use of an EMS: a facilities manager can monitor energy expenditure, evaluate its usage, identify savings opportunities, and control energy usage. An example of a successful use of a BMS: a fire breaks out; the fire alarm panel shuts off dampers in the HVAC system. This prevents smoke from spreading to other parts of the building. The elevators return to the ground floor and remain there. Yes, there can be overlap. An EMS and a BMS can both automate HVAC and lighting, for example. An EMS and a BMS are typically able to communicate with one another. An intermediary might be required, which speaks both the language of EMS and of BMS. BACnet is the leading open standard software integration. There are others on the market, but BACnet is most prevalent. Return next week to ready about light level sensors and why an EMS would feature them. To learn more about Energy Management Systems and their integration potential, click here : White Paper-How Energy Management Systems Work. Next PostNext Why Would an EMS Feature Light Level Sensors?